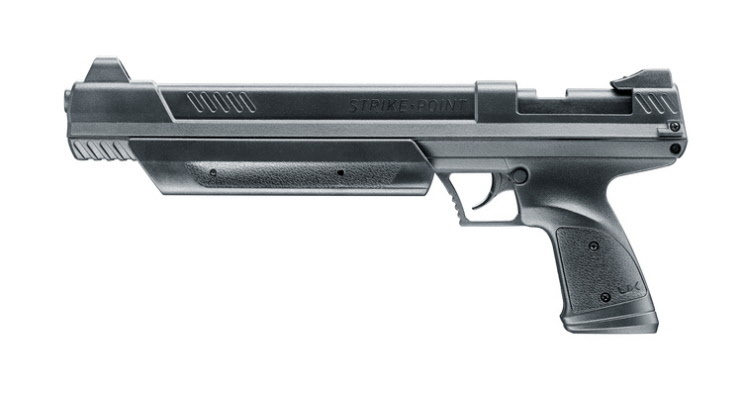 Up-to-date appearance with modern polymer frame – the Perfecta S3 is a sturdy break-barrel air pistol at an attractive price/performance ration. This compact, sturdy air rifle, with an attractive wooden stock, has an automatic safety and an adjustable sight, making it an ideal entry-level model for ambitious shooters. This is one of our best-selling rifles, prized by both young and old. 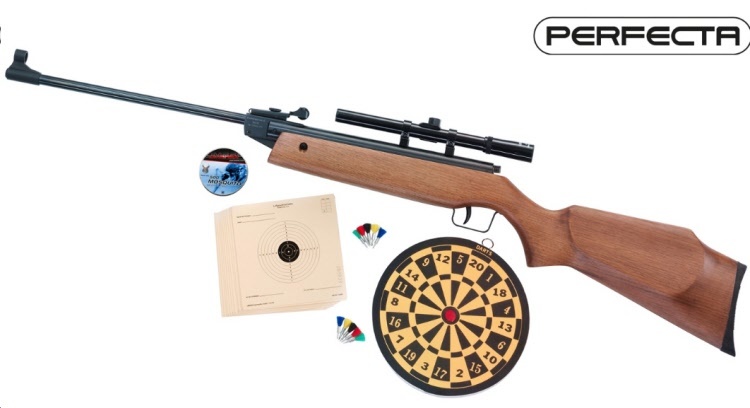 Beginners will also want to get the Easy Shooting Set, which includes a 4 x 15 rifle scope, pellets, darts, dart board and targets. This set opens up a world of recreational opportunities. 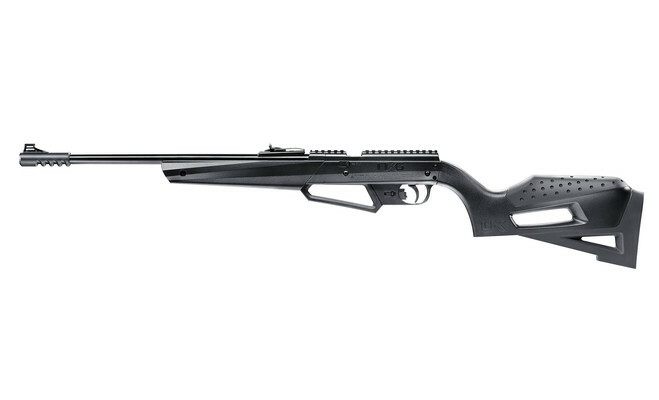 The Next Generation APX from Umarex is the genesis of modern youth air rifles. 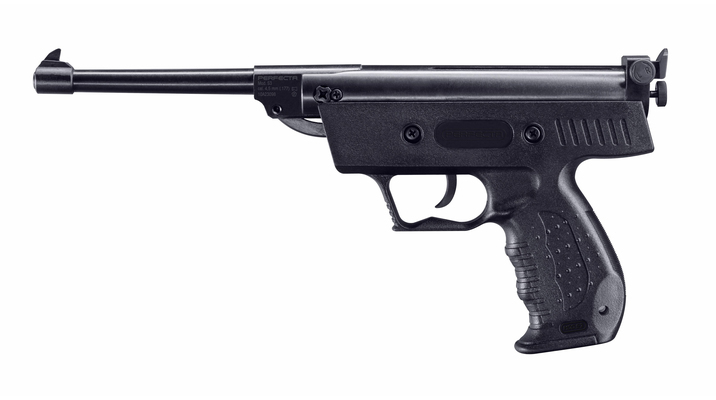 It redefines the standard of airguns designed for younger and small-framed shooters with a multitude of modern-day features that includes an automatic safety - a feature never before seen on a pneumatic rifle of this type. The dual ammunition APX features a progressive stock design that's ergonomic, modern and impact resistant. Its grip is designed with a narrow curve that's comfortable for shooters with smaller hands creating better control and a safer shooting environment. Its multi-pump action and easy-load pellet ramp is easy to use for right or left-handed shooters and it deploys alloy projectiles up to a velocity of 800 feet per second at maximum air charge. The adjustable rear sight and fiber optic front sight protected by its sleek muzzle brake allows you to quickly zero in on your intended target when shooting either pellets or steel BBs. Mounting a scope to the APX is easy with its integrated tactical-style scope mounting rail system - another first in youth air rifles that provides a positive lock down to keep a scope on zero. All of these features combine to make shooting the Umarex NXG APX a target-busting experience for shooters of many ages. - First in its class with an Auto Safety!